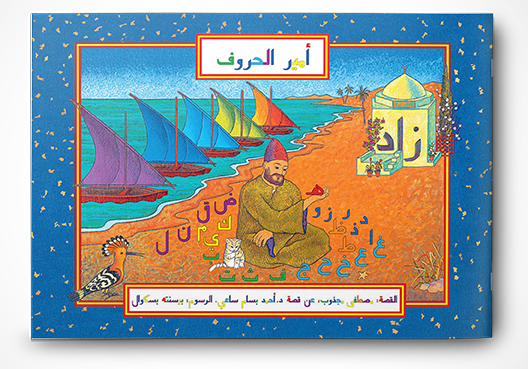 This beautifully illustrated picture book “explains” how to use the Abjad letters. It describes the alphabet kingdom and their great adventure in search of “hands” for the letters without hands, and “tails” for all the letters. See how letters with “hands” hold each other to make words, and how they hold a “tail” of their own colour at the end of a word. Find out why the letters without hands are so special! In all key passages, letters are illustrated at exactly the same size as the plastic letters to allow children to place these letters over the illustrations – lots of fun, and great educational value!